This premier Bruce Springsteen and The E Street Band tribute is an unstoppable powerhouse ball of energy that brings audiences to their feet, singing and dancing every second of the show! If you can't see Bruce himself, then you MUST see The BOSS Project! This seven piece band of professional musicians will transport you back in time, playing some of Bruce's greatest hits, including: "Born To Run", "Glory Days", "Hungry Heart", "Dancing In The Dark", Born In The USA", "Thunder Road", "Jungleland" and SO MANY MORE! 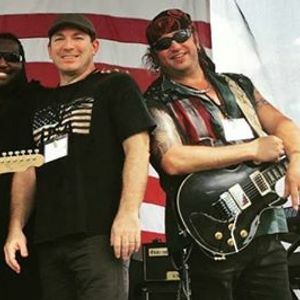 As is true Bruce Springsteen and The E Street Band style, The BOSS Project delivers an arena style show that engages and enthralls audiences of all ages time and time again! The BOSS Project performs the music as it was written and meant to be performed by Bruce Springsteen and his E Street Band to sold-out audiences around the world - LIVE! The BOSS Project leaves it all on the stage with every heart pounding, gas tank emptying, ounce of energy they have with every show they perform!